A meteor storm strikes the small town of Riverdale, but it also brings with it a baby girl. The adventures of Betty Kara Cooper and her friends. 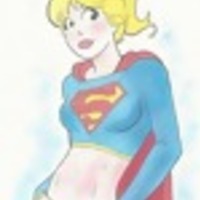 A Smallville inspired Betty/Supergirl crossover. Written by archie-fan.deviantart.com Adapted by me. Betty is friends with everybody, and is a loving daughter and sister. She likes to help the homeless, read to the senior citizens, and rescue wounded animals and birds. Betty's hobbies include playing sports (particularly baseball), cooking, and looking after animals (she owns a cat, Caramel). She is also concerned with the environment and other social issues and encourages the rest of the gang to clean up after themselves. She loves children and sometimes babysits Jellybean with Jughead as well as other children in Riverdale. Betty has a secret that she has super strength and speed and a storms coming and she needs some answers. "Ugh,I’ll be back in flash." Wait, you want me to be on the cheer leading squad?" Betty asked in disbelief. "I just want you to know that I meant what I said in there," Betty told him. "It doesn't matter where I came from or who my birth parents are; you are my father, mom is my mother and Polly is my sister." Everybody in town knew who the Lodges were. They were a one of the wealthiest families in the country. Veronica's fa Hiram had taken a real-estate development company and turned into one of the biggest corporations in the world, Lodge Corp. The family's fortunes had actually taken a turn n after the meteor shower that hit Riverdale. Lodge Corp had been pretty much the sole company responsible for the clean-up and rebuild of Riverdale. But Veronica herself had recognition outside of being from such a wealthy family. She had graduated high school at just 14 years old and had finished University before she was She'd then caused quite a stir when she formed her own fashion company in an effort to prove she was capable of working for her father while at the same time getting her mas degree. Now she was 20 and working for her father and at the same time working on getting her doctorate in xenobiology. "There's definitely something different about this girl," Veronica said. "She doesn't have a single hospital entry for any kind of injury whatsoever. What kind of child goes through without getting hurt? I mean even I broke my arm when I was five." 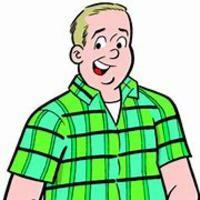 Jugheadis a lanky teen with sleepy eyes and dark hair who stood about an inch taller than Betty. "Hey Betty, you ready for the first day of school?" Jughead asked. 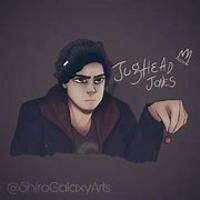 :”Yeah, you made a complete fool of yourself when you walked up to Archie," Jughead chuckled. "I hope you don't try that again, you become a total klutz when you're around him." “Well as long as Archie Andrews isn't the one picking the team I think you're a shoe in," Jughead said. Sheila Wu was the same age as them. The diminutive Chinese girl was only 5'3" and had long black hair that was almost to her waist with a pair of bright pink streaks dyed into it. She was quite up on the latest fashion trends always wore stylish outfits like the perfectly matched skirt, vest and top she had on with one of the most amazing pair of knee high black leather boots Betty had ever seen. "Hey friends," Sheila greeted them. "Nice outfit today Betty." "Ugh, despite the shows name, orange is most definitely not the new black," Sheila said. ”Well how about some other cute boy, like Reggie Mantle?" Sheila suggested. 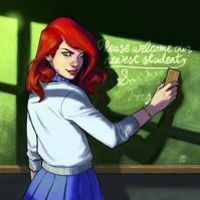 If there was ever a girl to rival Veronica’s money and attitude, it would be Cheryl Blossom. Ms. Blossom also comes from a wealthy background, and uses her privileged lifestyle and charms to pry Archie away from Betty and Veronica. She is not above using dirty tactics to attract the boys in Riverdale or any town for that matter! 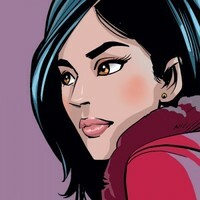 Cheryl lives in Pembrooke, an upper-class neighborhood that looks down on the “townies” of Riverdale High. This feud between the two towns further fuels the battles between Cheryl and Veronica. Each girl is constantly trying to outdo the other with material possessions. Once Archie enters the mix, you can bet things will get wild! Oh she slept with my brother," Cheryl replied. "Which normally I would have been fine with, except I explicitly told her not to because I was using Jason to recruit that new gay student Kevin to the football team and she completely ruined the illusion. Anyway with Sherry gone the only blonde on the cheerleading squad is Mina Martin, and everybody knows that blonde cheerleaders are totally necessary on a squad. I could just make another girl dye her hair but really I would prefer a natural blonde." Cheryl said. "And so would the guys that watch us I think." Took you long enough, I guess that is your natural colour,"
”You're not dating him, you will date who I tell you to date," Cheryl answered. ”Hal, is that…?" Alice asked not finishing the question. ”We already agreed we were going to call our daughter Elizabeth," Alice said firmly. 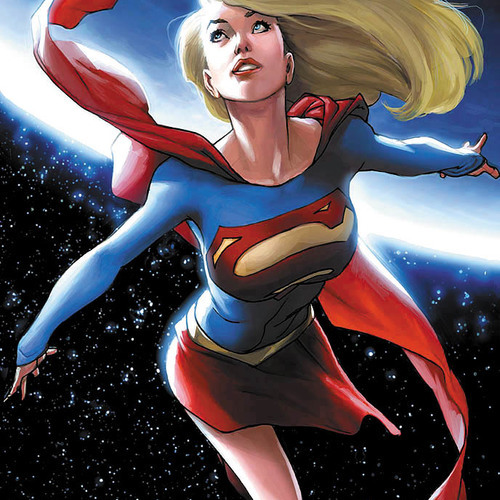 "But I think Kara is a fitting middle name. ”Betty! 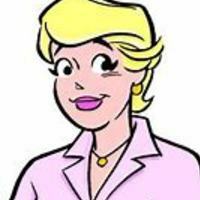 Betty Cooper! Elizabeth Kara Cooper you get up now or you will be late for school!" Honey, the kids really want to go to the festival, will you be okay?" Hal: “Elizabeth Kara Cooper," he said trying the name out. "I guess welcome to Earth." "Betty, the day of the meteor shower, you weren't born." Hal struggled to explain. "Your mother was pregnant, and the shock of our house being struck by a meteor forced her into labour. Our daughter was stillborn. "However it turns out that it wasn't a meteor that struck our house, it was this… ship," Hal continued. "And inside it was you." "Your mother and I, we had been excited to have a daughter, and then we'd lost her only for you to show up immediately afterwards, it was like a miracle," Hal said. Basically somebody who can mange the body actors and tell them how to move.